It was another record-breaking year for the U.S. commercial casino industry. 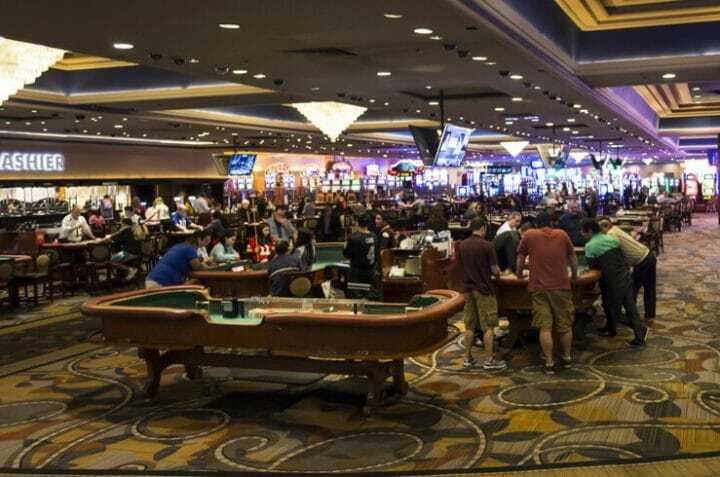 Commercial casino gaming across more than 20 states generated more than $42.7 billion in gaming win last year, according to data compiled by the University of Nevada Las Vegas’ Center for Gaming Research. The gambling winnings were up 3% over 2017’s win of $41.5 billion, which was an increase of 3% over 2016. Single-game sports betting outside of the state of Nevada didn’t kick off until around the middle of the year, with additional states gradually joining the sportsbook equation as the year went on. The impact of legal sports betting wasn’t immediately felt on the nationwide casino win total, but that could soon be changing as markets mature and more and more states legalize. There are currently seven states with commercial sports betting businesses. New Mexico has tribal-run sports betting, casinos that aren’t included in the $42.7 billion tally. The tribal casinos win about $30 billion each year (a growing market as well), with large shares of those winnings coming in California and Florida. There are nearly 30 states considering sports betting legislation in 2019, but their respective markets, and thus the nationwide win total, will be greatly dependent upon whether online/mobile betting is part of the mix. Only allowing brick-and-mortar sportsbooks puts a much lower ceiling on a market. Nevada is still by far the nation’s largest casino gambling market, and it had a strong 2018. Nevada’s casinos won $11.9 billion, an increase of 2.9% over 2017. Sports betting was the fastest growing casino offering, with statewide sportsbook win growing 21% year-over-year. The Silver State had about 28% of the nationwide commercial casino win, and it shows no signs of losing its dominance in the face of growing regional casino markets, some with sports betting. The recent Super Bowl handle comparison between Nevada and New Jersey underscored the former’s tourism dominance. New Jersey, the East Coast gambling hub, enjoyed its best year since the mid-1990s in terms of gaming revenue growth. The Garden State saw nearly $100 million in sports betting revenue, combined with nearly $300 million in internet gaming win. Brick-and-mortar casino win did its part, too, growing 4% over 2017. The Detroit casinos had a strong 2018 and were on the verge of seeing the Wolverine State legalize online casinos, but a veto late in the year from the departing governor surprised many in the industry. Still, despite a record-setting year for the Detroit casino market, Michigan will have to modernize as its neighbors look at expanding their respective gambling industries. Mississippi, one of the early movers on sport betting, saw solid growth of 2.2% to $2.1 billion. While the growth is relatively modest, it did come after gambling winnings fell 2% in 2017. West Virginia also kicked off sports betting last year, helping its gambling market grow 3.2% to $605 million. Like Mississippi, West Virginia’s market contracted the year before it kicked off sports betting. According to the UNLV data, only one commercial gaming state saw a year-over-year decline in gambling winnings. That was South Dakota, whose casino gambling market of just over $100 million was a nearly 1% decrease from 2017. Other states were close to seeing contractions in 2018. Delaware was one of the states to launch single-game sports betting last year, but the impact was negligible on its gambling market. Pennsylvania saw its first casino open a sportsbook in late November, but additional openings were slow to materialize and sports betting generated just $2.5 million in revenue. As for the other states listed above, they all are considering sports betting this year, which would likely help grow their stagnant casino gambling markets. Can sports betting bring winnings to $50b? A 2017 study commissioned by the American Gaming Association, which lobbies on behalf of the commercial casinos, projected that legal sports betting in brick-and-mortar facilities and over the internet, if legal and operating in all states, could generate $18.7 billion in nationwide gaming win. That includes tribal and commercial casino states and assumes a tax rate of 10%. The $18.7 billion also includes California, which shows no signs of authorizing sports betting in the near future. Also, Texas is factored in, which is another super longshot. Excluding states unlikely to legalize sports betting and considering that some states won’t go online, the potential market is greatly diminished. Still, there is enough room for growth to bring commercial gaming win to the $50 billion level in the years ahead. There are efforts on Capitol Hill to slow the proliferation of online casino gaming, another massive opportunity for casino states. As long as that doesn’t end up coming to fruition, some states moving into the sports betting business will also legalize internet slots and table games.